I am a very goal oriented person with an interesting mixture of analytical skills, creativity and solution finding. I believe to have good people knowledge and have become famous for my flexibility. Unusual interest for technical products and international sales. Like to motivate others to achieve unexpected results, overachieving targets. Searching for a company which operates globally and not only focuses on the profit but the people behind the business. Baron Property Management was founded by me in 2016 in order to maximize profits from real estate. We are specialized in short term, sabbatical renting. We refurbish, design and equip apartments for maximal usage. We currently have 7 properties. Currently the job requires a 24/7 availablity. Also on weekends, holidays and in the evening. Cogent is a Tier1 Internet provider and one of ht leaders for connectivity services. Being responsible for customers globally, I became the single point of contact and Account Manager for self-hunted accounts. Traveling from and to Frankfurt became a big burden and too time consuming. Guesthouse and apartments for international guests. Providing interim housing and relocation services to clients. Serviced apartments. Managing availability. Interior Design - "making you feel at home". Price negotiations. Responding and providing information 24/7 - concierge service in four languages. Being a host and making my guests feel at home. Large guest house, three bedroom apartment, one bedroom apartment. I moved a lot and know what people need. Able to combine this job with my family. KDK, is a leader in measurement technology, producing measurement certificates required by law and quality purposes. Maintaining existing customers and increasing portfolio sales. Hunting for new customers. Visiting fairs and customers face to face. Baron Real Estate was founded by me in April 2010 in order to sell and manage family property. Selling, renting and managing private and business property for private or commercial use. 3D interior design plans.. Terminated after projects have been completed and volunteered for the youth council Never planned on a career in real estate. Industry standard servers and storage solution software, service solutions and support serving mainly global inbound customers enterprise customers with global contract. Increasing, extending and negotiation of new contracts sales against quota, exceeded for FY2008 . 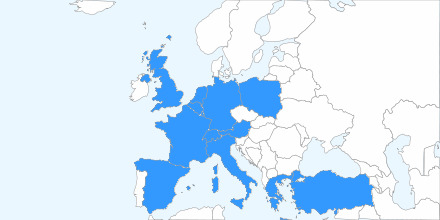 Project implementation in Europe. Terminated due to no extension of temporary contracts for the entire team. Sales against quota for a defined territory and key accounts. Storage and Network solutions consulting business partners for complex IT solutions. Service, Support and Maintenance contracts for new and existing customers .Collaborating suppliers and IT partner to create synergy effects . Ended for family reasons and management change. Cold call acquisition. Qualifying leads Pursuing ongoing projects and closing deals. Negotiation of sales contracts. Administrative sales operations. Reviewing product development. Overachievement of sales targets. Terminated to pursue career in the IT sector. Business development and restructuring of business unit. Sales management and marketing, designing new brand image and corporate design. Process optimization of administrational workflow. Improved business guideline. Optimization and training of staff and team members. Financial restructuring and refinancing including new business plan, achieving a turnaround in Germany after two years. Reasons to leave: Head office in Spain filed bankruptcy. Terminated employment to improve career path. Managing and setting up new accounts and specifying required documentation. Working in the purchase department, doing money transfers and allocating incoming wires, settling trades. Very operational work without customer contact. Leading to my interest to work more directly with the customer. Coordination of ship’s movements. Arranging port services and reviewing and revising operational procedures. Started a statistic to find out about the biggest reasons, vessels would not achieve their targets and focusing on implementing strategies, to reduce risks and there costs. Rating and filing import entries, arranging intermodal moves to destinations. Organizing and coordinating international movements in a cost effective and secure manner. Catering large events up to five hundred people. Learning about the perfection of organizing large events like NATO meeting and other official meeting. Worked a student on campus to help financing my studies. I always worked in our family exclusive fashion boutique, helping my mother in doing purchasing, marketing, sales and even finance. I learned very early what is needed to run a business. Every time I came back to Heidelberg I helped her out. Unfortunately, different work styles and only very little interest in the fashion business made me decide not to continue working here and to pursue my career in a different field. Adpating sales strategies to customers with different cultural backgrounds, influencing decisoin makers by creating their personal need and interest in the project or pruduct. Aiming stongly to the target and the goals set, by developping specialized solutions and satisfying all parties included. Managing to apply multiple duties and projects in the most effective way by keeping budgets low and creating synergy effects. Strong 3D imagination helps to easly work with 3D floorplan and 3D based measurement software. Using Outlook, Word, Excel and Power Point frequently including special features. Only used during my Internship in the US. Additional classes taken. Strong understanding. My favorite CRM sorftware used in serveral jobs. Heps me to monitor and keep track of my actions as well as work done by my teammates. Close to native speaker. very good pronounciation. Lived in the US from 1998 - 2001. Speak fluently. Wirting more difficult. Very good pronounciation. My " father's language". 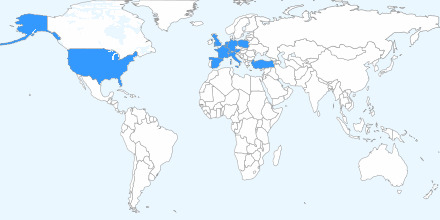 Often visited France and lived their from 2003 - 2006. Good pronounciation. Missing some vocabularies. Constantly improving though my guests. Strong interest and pasion for spanish coulture. Know how to dance Salsa. My grandmother's language. Only took two semesters. Work with polish people a lot. Like the coulture. Focused on doing business internationally. Aquiring a high level of intercultural awareness. Additional courses in humanity studies, helped me better understand the person " in front of me". Starting Spanish as my fourth language. Great interest in international economics and statistics. Majoring in Math and French. Minor in Sport and Religion. Strong in Biology and Art.